The company has announced a smattering of original content and an app to help you find stuff to watch. What's next? So, Apple’s getting into the content game. It’s been much discussed over the past few years, what with Netflix, Amazon, Yahoo, and plenty of others deciding that they want to control not just a platform for delivering video, but the content that streams on it. Apple has, meanwhile, been slow to join the party, but in the last year or so, it seems to have come around. Rumors pointed to a Dr. Dre series and an app-building reality show, and the company even announced at its iPhone event earlier this fall that it would be the exclusive home to further Carpool Karaoke episodes featuring The Late Late Show’s James Corden. But it’s become increasingly clear that the company’s ambitions exceed just making a couple episodes here and there. I’m convinced this is a bigger part of Apple’s strategy going forward—and you don’t have to take my word for it. Apple’s quarterly financial result calls are always an interesting experience. As my colleague Jason Snell related, much of the time is spent with financial analysts trying to suss out details of what might be next in Apple’s pipeline, while Tim Cook and Luca Maestri try to find words to answer their questions without giving more then the barest hint away. In terms of owning content and creating content, we have started with focusing on some original content, as you point out; we’ve got a few things going there that we’ve talked about. And I think it’s a great opportunity for us, both from a creation point of view and an ownership point of view. And so, it is an area that we’re focusing on. Of course, what with the Carpool Karaoke announcement earlier this year, we already had confirmation that Apple was indeed dipping its toe in the water. But when Cook says “great opportunity,” well, that makes me think that what we’ve seen so far is the beginning, and there’s plenty yet to come. 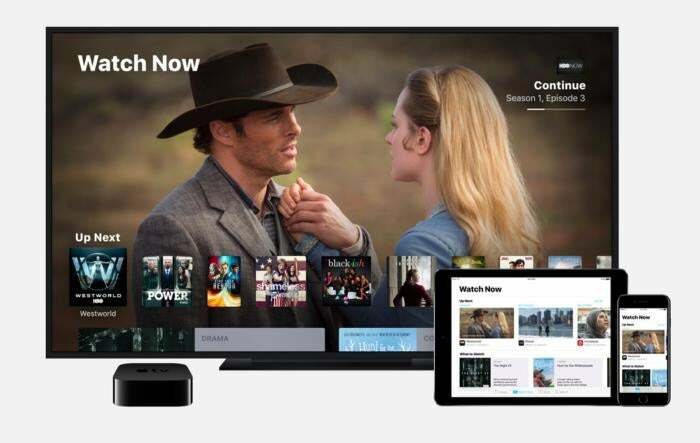 Some have theorized that this project rose from the ashes of the TV streaming platform that Apple had been trying to build, which seems plausible. The app itself is an odd beast, mixing the recommendation engines of a service like Netflix—but it doesn’t support Netflix, at least for now—with a library of content that you’ve purchased on iTunes. 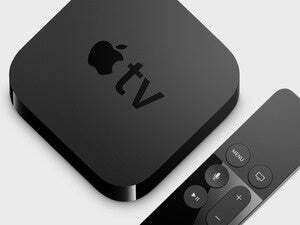 The TV app will let you pick up where you left off in supported Apple TV apps, or with content you've purchased or rented from iTunes. But it makes perfect sense when you imagine it as the distribution point for Apple’s upcoming in-house content. The company may not have conclusively won the battle for Input 1 in the living room, but if screenshots of the new TV app are any indication, it’s aiming to have spot number one on your Apple TV’s home screen. That app will be a prominent place to feature all of Apple’s upcoming series, easily surfacing them for viewers who want to watch them as well as anyone who hasn’t heard about them yet. But the question remains: how will Apple handle distributing and making money off its video content? With Carpool Karaoke, the company plans to piggyback on Apple Music, letting subscribers stream the music-themed series for free. But that makes less sense with the other shows Apple supposedly has in the works, such as the Planet of the Apps reality series. There are plenty of options. 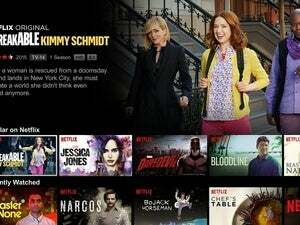 Amazon and Netflix obviously go the “paid subscription” route, while some web video services rely more on ads. Apple has stuck with the paid downloads model for the iTunes Store, a concept that, if not outdated, certainly seems to have been surpassed by the deluge of streaming media. The ad-supported model seems less likely for Apple. Ads have also become less sustainable for big ticket content; Hulu and YouTube, for example, are moving towards subscription models. Apple has tried to get into the subscription television game by negotiating with content providers, but here’s another option: Start by streaming series to Apple Music subscribers, promote them via the TV app, and then expand beyond that to include a separate TV service or a single monthly fee that includes both music and video content. Apple’s motto has always been a variation on “if you want it done right, do it yourself,” from hardware, to software, to material engineering, to data centers, and so on. So it shouldn’t be a surprise that in the company’s attempt to reinvent the TV, content is proving to be no exception.